No. 2 Doune sits on the Knoydart peninsula, known for its close-knit community, turbulent history and spectacular countryside. Tired of modern life? Feeling the urge to take a step back in time to a land without cars or crowds, but with every amenity needed to live a modern life? This is exactly what No. 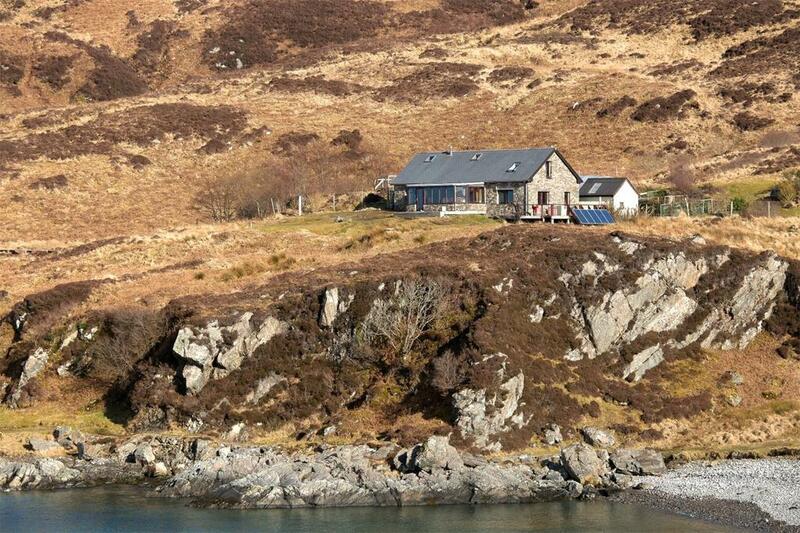 2 Doune offers as one of four private dwellings, overlooking Doune Bay on the Knoydart peninsula. 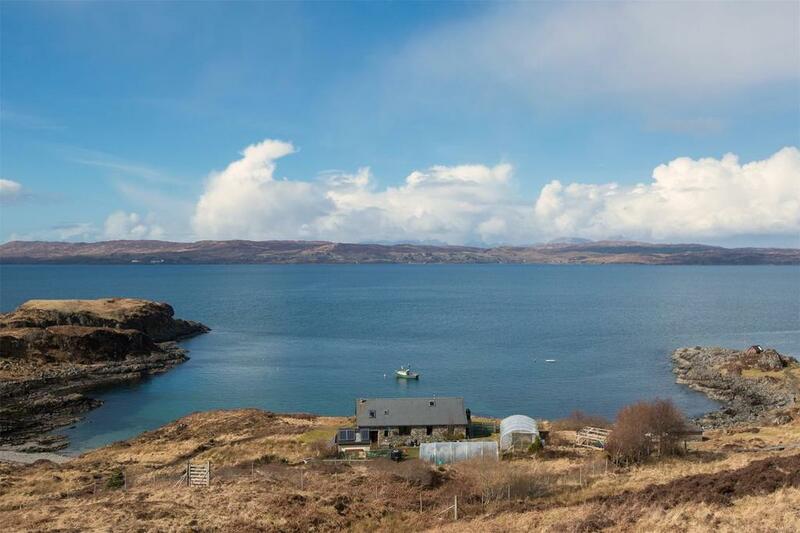 It’s hard to put a price on this level of seclusion while still maintaining reasonable access to the mainland and a 4G data connection, but the agents have done just that – and very reasonable it is too. 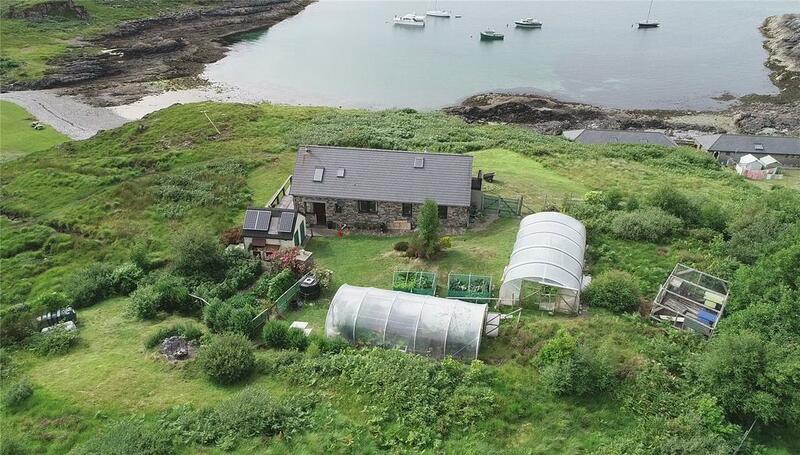 This little slice of paradise is up for sale with Galbraith via OnTheMarket.com at offers over £380,000. The Knoydart peninsula sits on the West coast of the Scottish Highlands, only accessible by boat or foot. From the 12th century until the end of the 1990s, ownership of Knoydart changed hands numerous times as clans fought over the desirable territory. In 1999, the community bought out their land, finally taking control of their own livelihoods through the Knoydart Foundation. You wouldn’t believe it now while looking at the wide, unpopulated hills of the peninsula, but prior to the Jacobite Rebellion it was home to almost a thousand inhabitants. In the infamous ‘Highland Clearances’, only eleven families refused to leave their homes as the rest of the newly evicted population travelled to Canada. Continuing to struggle against powerful and often pitiless landlords, the remaining inhabitants’ fight for freedom came to a head with the Seven Men of Knoydart, who each claimed 65 acres of arable land and 10,000 acres of hill land for their own in order to rebuild their homes in November, 1948. Although the Court of Session ruled against the villagers, this push for independence spurred on the community to their eventual buyout at the turn of the century. No. 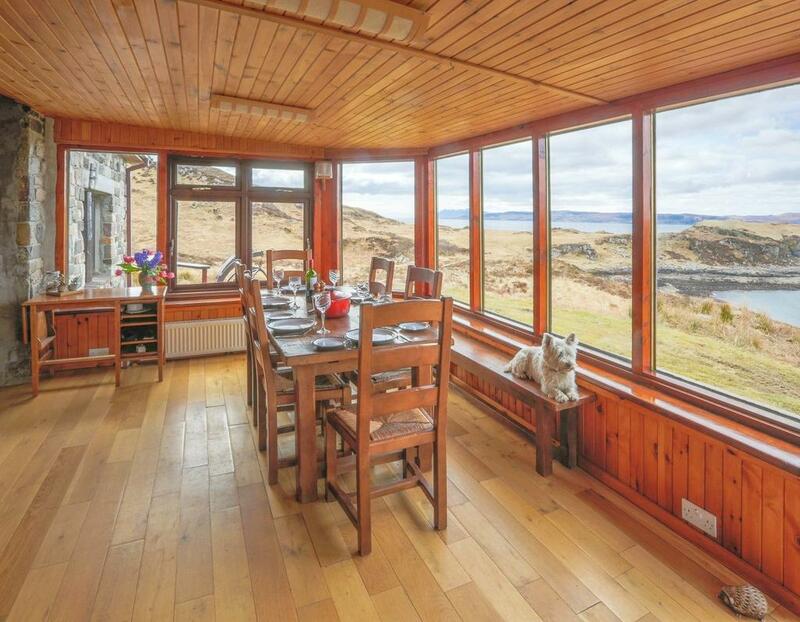 2 Doune, built in 1997, sits in a spectacular position, with many of its triple aspect rooms boasting breathtaking sea views and the rest looking out over the undulating hills of the stunning countryside. The house is made of natural materials – including cobbles from a street in Glasgow – and is highly energy efficient, with solar powers and a battery bank generator in place to ward off cold Highland nights. 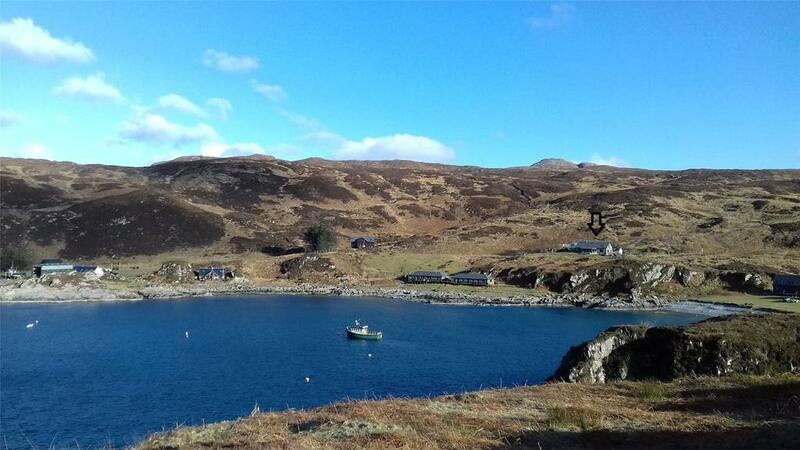 Access to the mainland is possible via a 20-minute boat ride to the town of Mallaig, where the owner will delight in a good selection of shops and schools up to secondary level. The property comprises of two self-sustaining acres, complete with a pair of extremely productive poly tunnels providing vegetables and fruit all year round, a separate fruit and vegetable garden and a hen house. 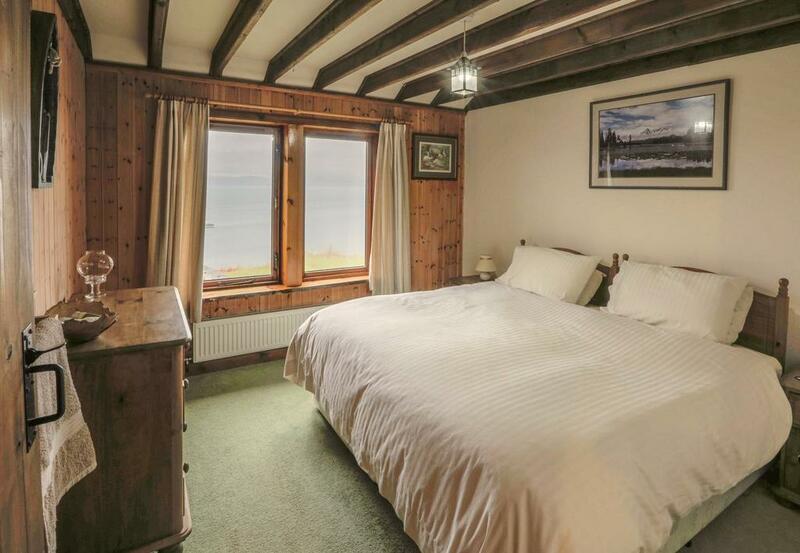 The four bedrooms are all well proportioned, with stunning views of the Sound of Sleet and the property boasts three further sitting rooms. 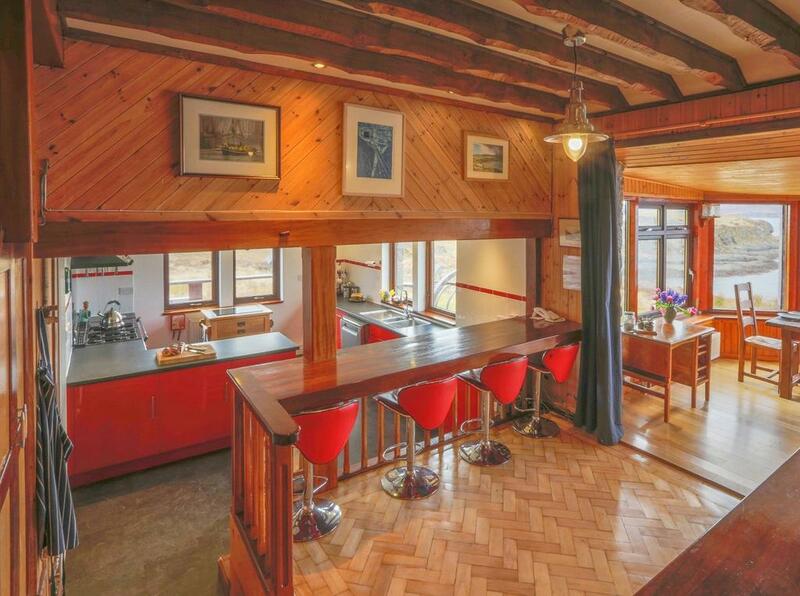 The kitchen is finished to a high standard, with a quaint breakfast bar leading to the triple aspect sun-room. Natural wood reigns throughout No. 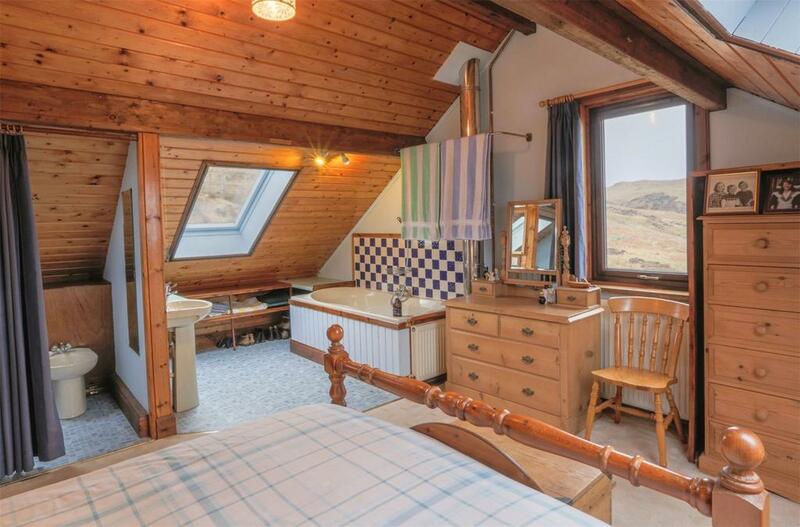 2 Doune, giving the property a cosy, rustic feel that stands in beautiful contrast with the vast, impenetrable scenery that surrounds the house on all sides. This house is the perfect escape for someone who wants to go their own way in the world, emulating the independence of Knoydart’s previous, historic residents. No. 2 Doune is for sale with Galbraith via OnTheMarket.com at £380,000 – see more pictures and details.